Highly stylized and lushly ornate, this extendable dining table is a winning combination of luxury and comfort. This dining table will be the perfect complement to any home setting and décor choices. 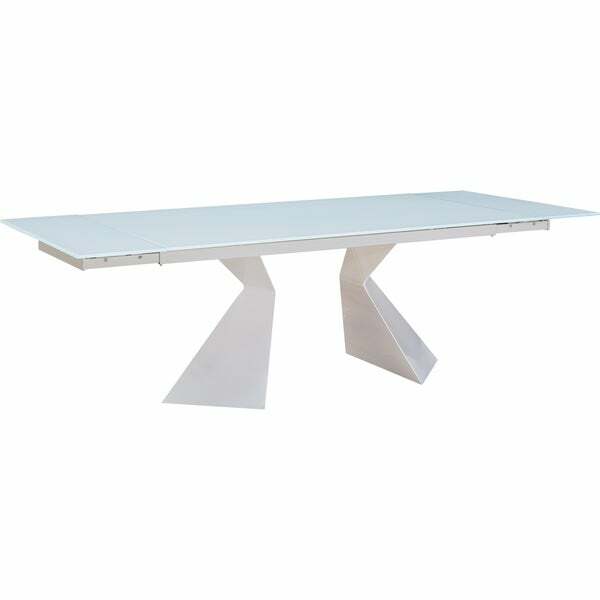 Design elements include uniquely designed white legs and an extendable rectangular shaped glass top which add a sumptuous flourish to the table. Quality craftsmanship in every detail ensuring durability and long-lasting wear. This table is an excellent way to create excitement in any home setting without sacrificing comfort and style, and is a wonderful choice in quality home dining. "Same question as the previous post. What are the extended dimensions?" "This says it is extendable. What are the extended dimensions?"